Check for the archipelago hotels. 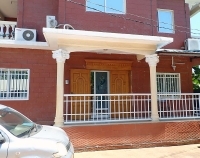 An ideal base in the heart of the capital, for trips or for business in Moroni. A functional hotel in the vibrant center of Moroni. "La Grillade", has been renovated. In front of the sea, the restaurant offers a beautiful sightseing. 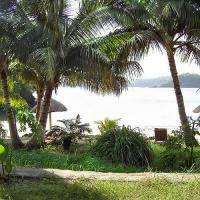 A haven of peace and tranquility, facing the most beautiful beach of Anjouan! Hiking in the forest (Livingstone bats), the village of Maouéni, Lingoni waterfall, ... Sea trips. SURF in May - June in Moya! 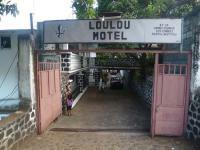 Hotel located not far from the exit of the Mutsamudu ship terminal, direction Pagé - Sima. Sea trips and connections to Mohéli with the boat "Karama express". Ground level : 1 independant bedroom with private shower / closet ; 1 flat with 1 bedroom iwith shared bathroom. 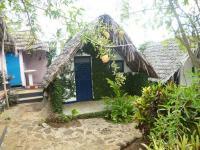 1st floor : large flat with 4 bedrooms with A/C (2 with private shower / bathroom) ; shared shower / closet. Warm water. 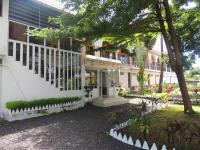 A well located hotel in the heart of Moroni. The hotel le Bleché welcomes you in a quiet place, with all the necessary comforts, just minutes from the airport of Ouani. 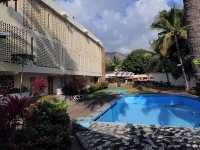 Golden Tulip Grande Comore (ex-Itsandra Hotel) is located on the island’s prime location of the Indian Ocean, reflecting the spirit of the archipelago. Just 15 minutes from Prince Said Ibrahim international airport. 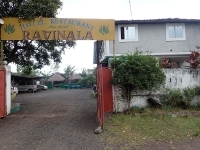 Welcome (Karibu) to the heart of the Comoros, and the remarkable Retaj Moroni, which is perfectly situated close to all the cultural attractions and business centers. 35 Rooms with king size beds. 14 Rooms with twin beds. The hotel welcomes you in the heart of nature in Ouani. The hotel is equipped to receive meetings and conferences, with free wifi connection. The hotel Le Jasmin allows you to recharge your batteries during a stay or just to get away from it all. One of the best deals. 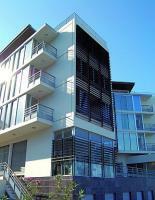 Clean rooms overlooking the ocean, wifi, centrally located very near the city hall. 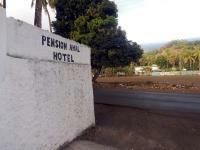 The "Pension Makany" welcomes you in a family atmosphere in the heart of the place of Chitsangani in Mutsamudu. Located 3 km from the international airport of Dzaoudzi, and right next to the barge, the hotel Le Rocher is one of those places where one comes, for a few days, to forget all its worries. There is calm and scenery that suits you. And - it's not the least of its advantages - modern comfort, with a great panoramic view. 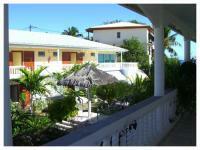 Book in advance as for all accommodation in Petite-Terre! A good solution for resting in Fomboni. The B & B Les Baobabs are located in the south-east of the perfume island, in the town of Bandrélé. Lise and Yannis will welcome you warmly in their haven of peace and tranquility. The lush garden offers breathtaking views of the lagoon and Mount Choungui. 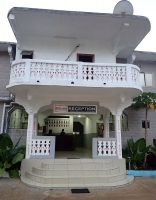 A pleasant and modern hotel in Mutsamudu, with all facilities. The main hotel in Domoni. Spacious and pleasant. 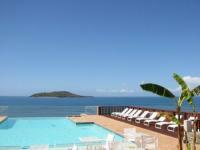 Contact by email via "Loulou gite" in Mayotte (specify well for the Domoni hotel in Anjouan). The Kalyptus will charm you with the authentic architecture of its 14 bungalows built in Eucalyptus wood and its modern comfort. Located 5 minutes from Itsandra Beach, Kalyptus is ideal for a relaxing stay in Moroni. 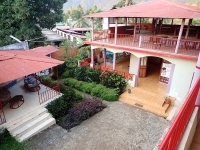 Small hotel in the heart of Hamramba district. A charming place to discover. A guesthouse in Moroni. Attractive prices. In the Mont COMBANI mountain range at an altitude of 360 meters, the Gite du Relais Forestier offers a quiet stay 20 minutes from Mamoudzou, in the heart of nature, in a tasteful accommodation. A new hotel in Fomboni.